← How to frighten a long-tailed macaque? 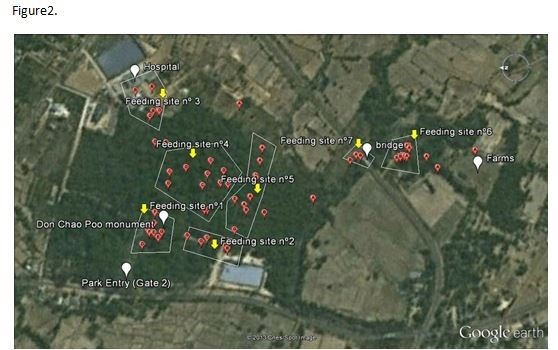 One troop of long-tailed macaques living in Don Chao Poo Forest, Phana, Amnat Charoen Province, Thailand, was chosen as a study into the ranging of the monkeys inside and outside the forest and the behaviours they evidenced during the course of a number of days. The particular troop selected for the study is one which does not seem to compete openly for the human provisioning which the other three troops seem to rely heavily upon. 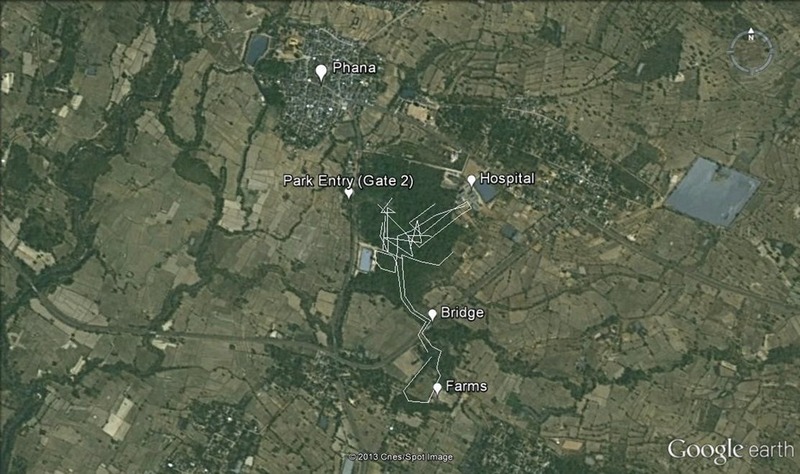 It is also the troop which has been observed spending time in the grounds of Phana District Hospital, roosting on the edge of the forest adjoining the western perimeter of the hospital. Felipe do Carmo Jorge, a primatologist from Brazil, spent a month with us and almost all of that time he spent on this project, which he devised and implemented himself. We are very grateful to him for his work, which has moved our knowledge of the resident long-tailed macaques considerably. You can read his complete paper by clicking on the RESEARCH PAPERS page. This paper is published here with grateful thanks to the author, Felipe do Carmo Jorge. This entry was posted in Bio-diversity, Long-tailed Macaques, Macaca Fascicularis, Macaques, Monkeys, Phana Monkey Project, Research and tagged bio-diversity, forest eco-system, Long-tailed Macaques, macaque feeding, macaque ranging, Thai monkeys. Bookmark the permalink.